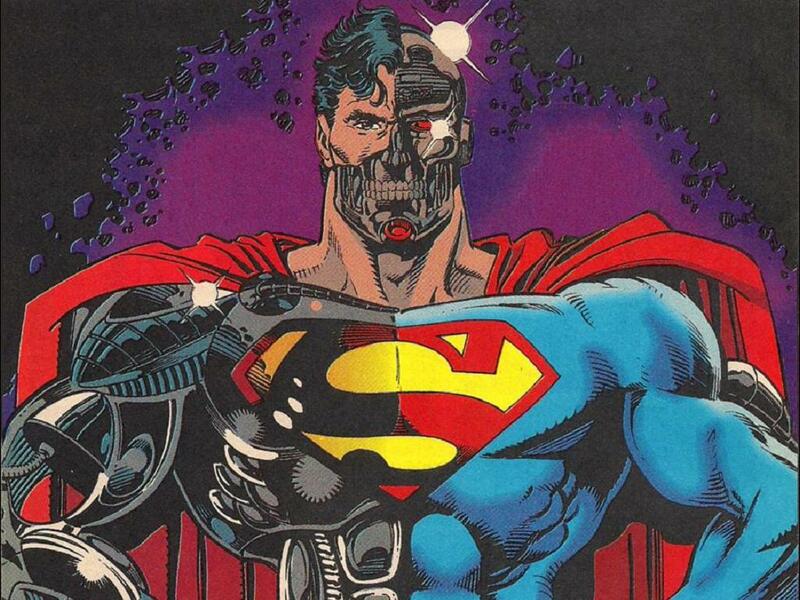 Hank Henshaw is a fictional supervillain featured in the DC Comics universe. While originally featured primarily as an enemy of Superman, recent years have repositioned him as one of the main enemies of the Green Lantern Corps. 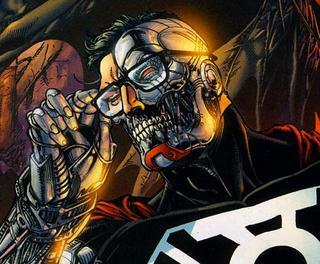 While the character debuted in The Adventures of Superman #465 (April 1990), he was reintroduced as the Cyborg Superman during the Reign of the Supermen storyline following Superman's death. At times, he is also referred to as The Cyborg (not to be confused with Teen Titans member Victor Stone aka Cyborg). Unusual Features: Cybernetic parts visible on left side of body as well as most of his face. Red mechanical left eye. Origin: Human body died after body was infused with cosmic radiation and became an energy consciousness that integrated itself in Superman's birthing matrix and created a cyborg body from its knowledge. Hank Henshaw first appeared as a crew member of the doomed LexCorp space shuttle Excalibur. Hank and the other three members of the Excalibur crew (including his wife, Terri) were exposed to cosmic radiation, resulting in the crash of their shuttle. As a result of the radiation exposure, the human bodies of two crew members were destroyed. However, their minds survived and they were able to construct new bodies out of pure cosmic radiation and bits of earth and the shuttle (homages to the Human Torch and the Thing, respectively). Initially, Henshaw and his wife suffered no ill effects from the radiation and the crew traveled to Metropolis, in the hope of using LexCorp facilities to cure their transformed crewmates. During a brief battle with Superman, the crew member now composed of radiation became unhinged and flew into the sun. By this time, Henshaw's body had begun to rapidly decay while his wife was beginning to phase into an alternate dimension. With Superman's help, Henshaw was able to use the LexCorp facilities to save Terri, but died immediately afterwords. The remaining member of the shuttle crew committed suicide using an MRI booth. of the former Coast City where Superman, Supergirl and Steel confronted Mongul and the Cyborg while Superboy stopped the missile from destroying Metropolis. While Green Lantern defeated Mongul, the Cyborg lured Superman and the Eradicator to the Engine City main reactor and attempted to kill Superman with the Kryptonite that powered the engine. Henshaw attempted to kill Superman using a concentrated blast of Kryptonite radiation, but the Eradicator intercepted the blast at the expense of his own life. However, as the Kryptonite energy passed through the Eradicator, the radiation was altered and acted to restore Superman's powers. Superman was then able to easily defeat the Cyborg (partially due to the Kryptonite weakening the Cyborg's Kryptonian form) by vibrating Henshaw's body to pieces. the Silver Surfer. Their short battle was interrupted by the arrival of Parallax, who had been tracking the Cyborg for some time, seeking vengeance for the destruction of Coast City. In the confusion, Henshaw managed to escape and was returned to the DC Universe by the end of the story. satellite is thrown out of orbit, Superman appears, seemingly from nowhere, and engages Henshaw in battle. Their fight continues on Earth, while Sinestro transports his crew and his ship from the Anti-Matter Universe. At first Superman seems to have the upper hand, however after two punches, Henshaw strikes with great power and rage, punching him through the Statue of Liberty. By the end, Henshaw has Superman in a choke hold, thinking that the victory is near. After the Sinestro Corps War, Hensaw abandoned the Manhunters and was later present during the Blackest Night, trying again to seek his death. Henshaw attempted to provoke Nekron into killing him, but failed as he lacked a heart to attract Nekron's interest. A distraught Henshaw was then approached by an unknown being, who told him that the Guardian Ganthet held the knowledge to destroy him permanently. Henshaw followed this advice and approached Ganthet, coming into an agreement in working with the Alpha Lanterns, with the intentions to augment every Green Lantern, including Ganthet, into an Alpha. His purpose of working with the Alpha Lanterns is to alter himself, such that he will be mortal again. He began his experiments on the Alpha Lanterns to reverse-engineer their cyborg attributes into humans. Despite killing several Alpha Lanterns, Hank was ultimately successful in devising a way to reverse-engineer some of the Alpha Lanterns. Before Hensaw can force Ganthet to perform his new surgery on himself, the Green Lantern Corps spoiled his plans and destroyed his physical body. Hank then tries to transfer his consciousness into Boodikka. During this attempted transfer of consciousness Boodikka overpowers Henshaw with her willpower and cuts his essence in half, thus destroying Henshaw. However, it seems that even this isn't enough for Henshaw to be killed. While surveying the remains of New Krypton, Boodikka was attacked by Doomsday, seemingly unprovoked. However, when Supergirl and Batman got her to the JLA Watchtower, Doomsday quickly followed, revealing why he was attacking her - Henshaw was still alive inside her. Taking over the Watchtower, the presence of Doomsday overrode Henshaw's desire to die, vowing to destroy the beast once and for all even with Batman and Supergirl stuck in the crossfire. With one mighty blow, Henshaw tore through Doomsday, ripping his body apart. However, Doomsday recovered and, to the Cyborg's horror, he became "Cyborg Doomsday", took over the Watchtower and vanquished Henshaw, kidnapping him and Supergirl in the process. Henshaw and Supergirl were taken to a satellite along with other Supermen such as the Eradicator, Steel, and Superboy. Instead of assisting his fellow captives, Henshaw explored Doomsday's satellite on his own and subsequently discovered that the Doomsdays that fought the heroes were clones of the original created by Lex Luthor. 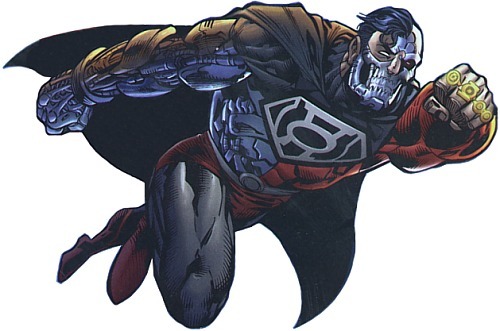 Although Henshaw was then willing to fight alongside the Supermen against the Doomsdays, Superman incapacitated him by ripping his central node off, knowing that they would not survive a confrontation with the Doomsdays. After the Doomsday clones were sent to another dimension, Henshaw was taken into custody of S.T.A.R. Labs. exposure to solar energy, his strength seems on par for a human of his height and weight who engages in regular physical activity. He does possess several organs whose functions are not yet disclosed or understood but are believed to be part of and perhaps even the source of his biomatrix force field and reclamation aura. Superman has manifested a wide range of metahuman abilities and is considered to be the most powerful metahuman alive. Henshaw's body also stores energy actively within his bio-cellular matrix as an energy pattern that is linked to his body's electromagnetic field. This energy powers most of Henshaw's electromagnetic capabilities such as flight and heat vision. It also supplements his physical strength by a factor of 12,000 times or so. with Superman Red, an exposure which the true Superman has survived repeatedly with no ill effects. However, Henshaw's 'Cyborg' body was able to withstand one attack from Darkseid's Omega Beams, although the assault did cause some damage. and can time travel under his own power. Henshaw also possesses superhuman reflexes and the ability to move at incredible speeds by sheer force of will. He can also perform complex actions like assembling objects at hundreds of times faster than a normal human.